Fig. 1. 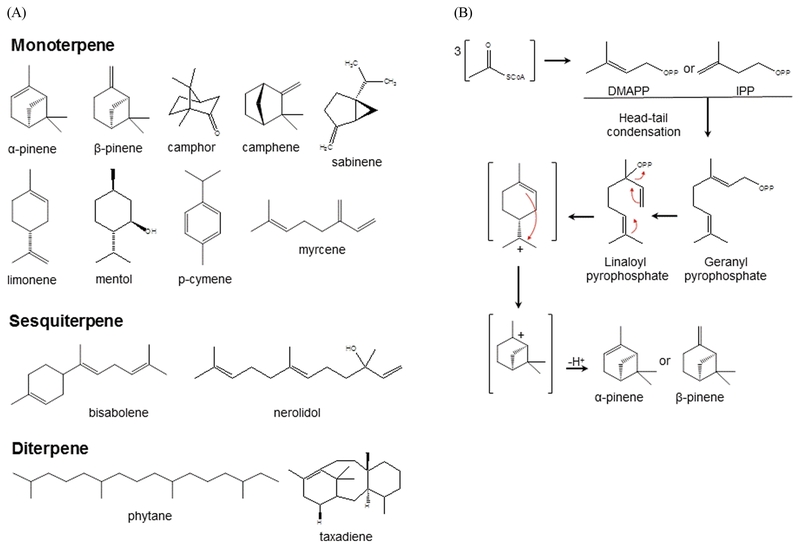 Structures of various terpenes (A) and terpene biosynthesis pathway for pinenes (B). (A) Depending on the carbon number, terpenes are classified as mono-, sesqui-, and di-terpenes. (B) Using DMAPP and IPP as building blocks, monoterpenes are produced from GPP. Especially, α-pinene and β-pinene are generated via cyclisation of linaloyl pyrophosphate and the loss of a proton from the carbocation equivalent.